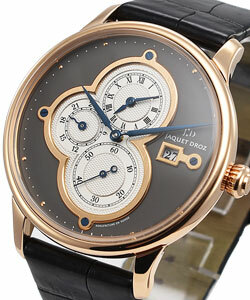 Jacquet Droz (1721-17900)was the creator of watches, clock and automatons that were greatly admired for their finess and complexity and known in the various royal courts of Europe. 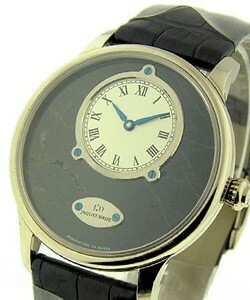 By 1784 Jacquet Droz had manufacturing works in La-Chaux-de-Fonds, London and Geneva. 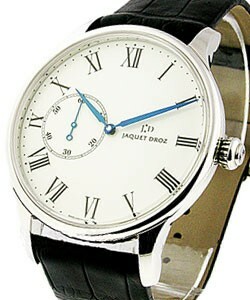 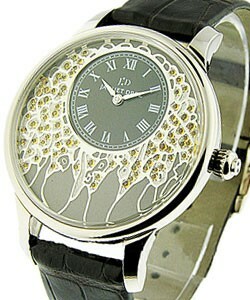 The Jacquet Droz of today is a tribute to the history of this famous maker and adopts his name. 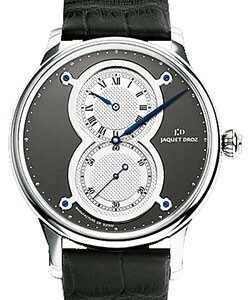 Jacquet Droz is part of the Swiss Watch Giant Swatch Group (Omega, Longines, Tissot, Blancpain, Breguet, Glashutte Original). 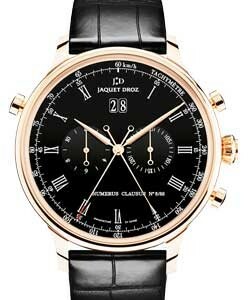 If you are interested in a watch manufacturer who has been around a long time with a grand legacy of watch making, then you need look no further than Jaquet Droz luxury watches. 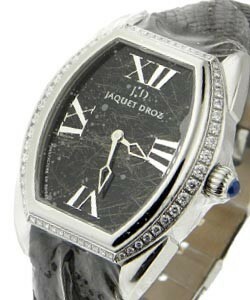 Pierre Jaquet Droz organized his first watch workshop in 1738. 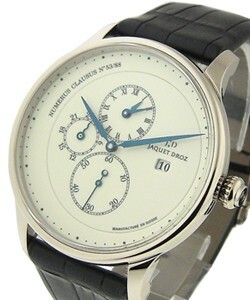 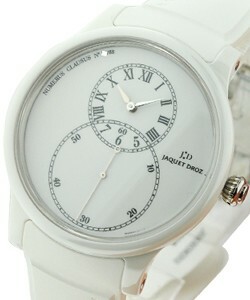 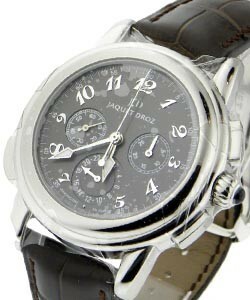 From the first of his creations that were sold in Madrid, he used the money to create Grandes Complications timepieces. 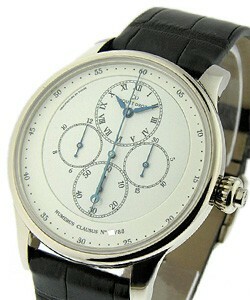 He later created the first watch making company in Geneva, Switzerland. 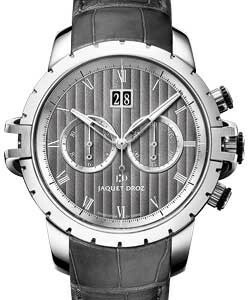 This company and its legacy were purchased by the Swatch Group in 2001, but the watches and name have been retained as well as the actual factory and people who do all of the creative manufacturing. 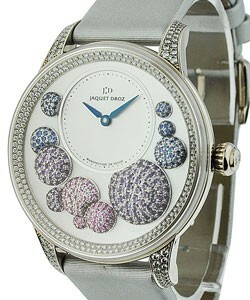 There are four main categories of Jaquet Droz luxury watches. 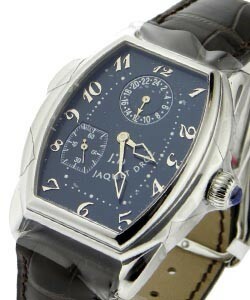 The first, 'La Chaux-de-Fonds 1738' refers to the place where Pierre was born and set up his first shop. 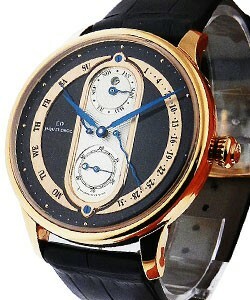 Next is 'Londres 1774', which is the connection to his second workshop in London. 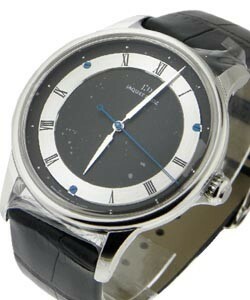 Third is 'Geneve 1784', where he organized the first true manufacturing works in Geneva. 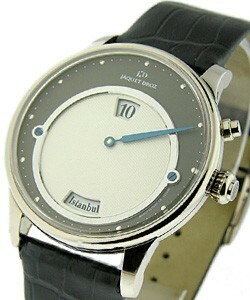 Finally, 'Paris 1785' refers to his fourth workshop. 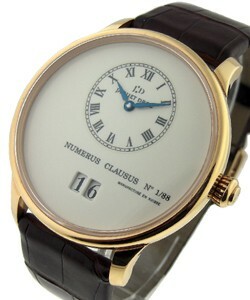 Each category contains a number of models which are all limited editions, many of which are created in either 18 k white gold or 18 k rose gold. 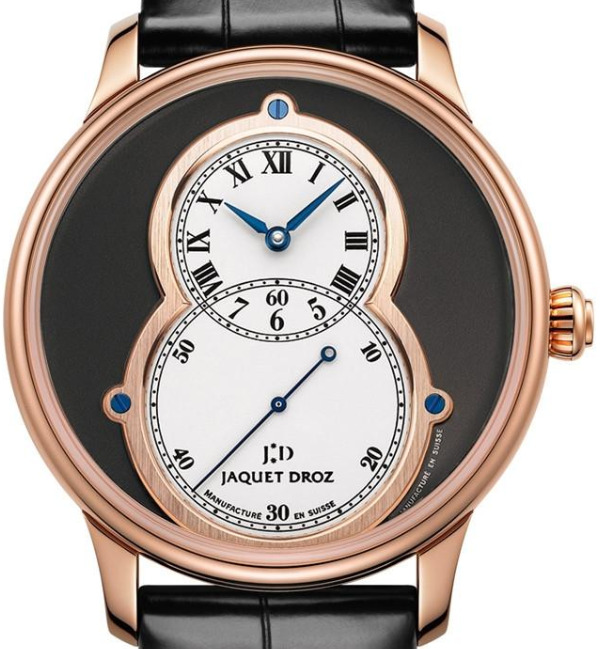 If you are a history buff and can appreciate nearly 300 years of watch making, then the Jaquet Droz luxury watches are timepieces to consider. 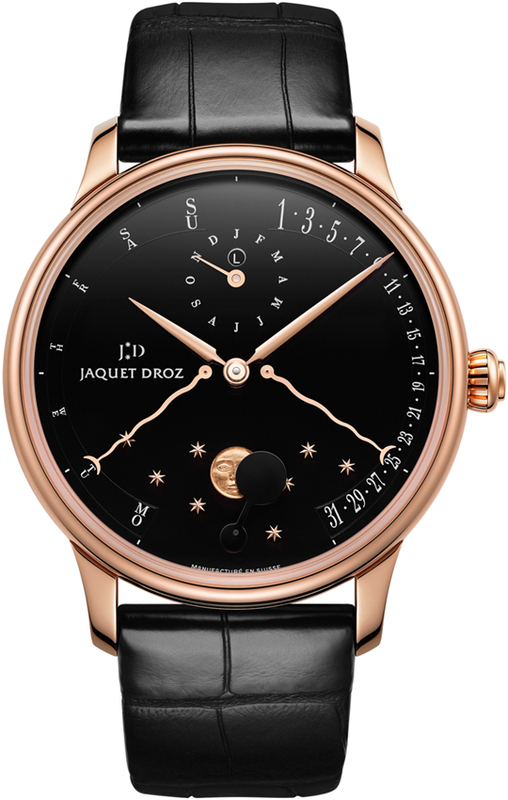 There are many Complications that are available, including the 'Jaquet Droz Triple Calendar Moon Phase', the 'Jaquet Droz Tonneau GMT', 'Jaquet Droz Chrono', 'Jaquet Droz Tourbillon Power Reserve', and the classic 'Jaquet Droz Grande Seconde'. 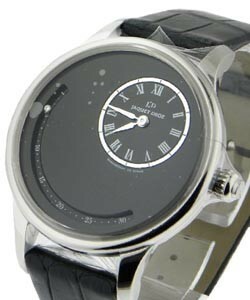 This last collection is pure poetry as one sees the connection between the hours and minutes dial and the seconds counter in sharp contrast but also inexplicably blended together to make a whole. 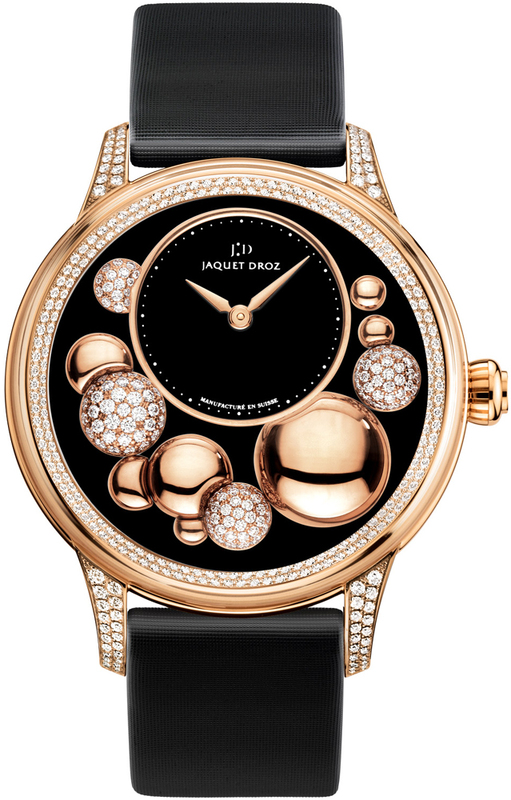 The use of precious stones, rare minerals, and Grand Feu enameling add the elegance one would expect from Jaquet Droz luxury watches, which combines the legacy of history with the excitement of the future.